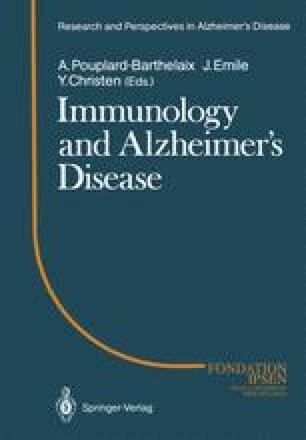 There is a diversity of opinions concerning the defect in the blood-brain barrier permeability in Alzheimer’s disease and in scrapie. In this paper we review the evidence for blood-brain barrier dysfunction and for serum factors and blood-borne cells in cerebral amyloidogenesis in Alzheimer’s dementia and in scrapie. The hypothetical role of immunologically mediated injury to the central nervous system in both disorders is discussed. The basis of the different conclusions is identified, and much of the evidence supporting a systematic or haematogeneous origin for cerebral amyloidosis is shown to arise from the unreliability or variation in histochemical techniques, from the inappropriate use of “markers” and from false interpretations based on localisation of proteins and antigens. It is concluded that the primary pathogenesis of plaques occurs within the neuroparenchyma and that the evidence for systemic involvement remains inconclusive.